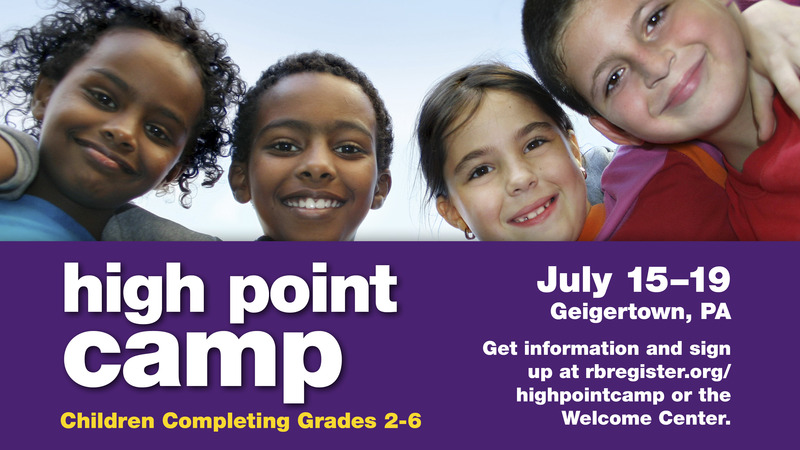 High Point Camp: July 15-19, Geigertown, Pennsylvania. This camp is for children who have completed grades 2-6. Click here to register.